All you need to know about choosing, owning, charging and maintaining an electric car. The future is electric. The future is now. 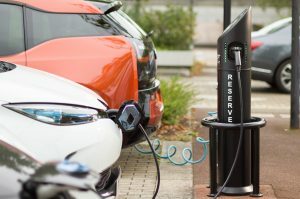 The UK is at a tipping point, with electric vehicle (EV) sales set to soar, as drivers overcome the many myths or misconceptions about their ownership and use. 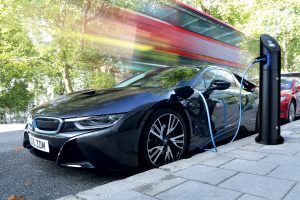 There are more than 130,000 electric cars registered in the UK and this number is expected to grow to over 1 million by 2021. The choice of electric vehicles is also increasing, with all major manufacturers offering an EV. So, why should you make the move? There are many benefits to electric cars. Not only are they significantly cheaper to run, with electricity costing much less than petrol or diesel, they’re also extremely smooth and comfortable to drive. Electric vehicles are better for the environment too. They have no exhaust pipe so produce zero emissions at the point of use – a big advantage in urban areas where poor air quality is a serious issue. What about range of electric cars? With increasing battery size giving greater range, together with faster charging and a wider range of vehicles to choose from, driving an electric car is more likely than ever to fit into your lifestyle. The average range of an electric car is now around 150 miles, meaning that electric cars can fit into most drivers’ lifestyles extremely comfortably. Around 80% of charging is completed at home. 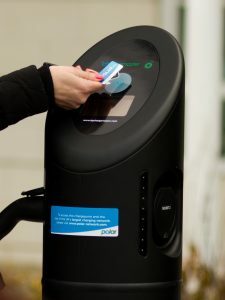 It’s the most cost effective and convenient way of charging as long as you’ve got access to off-street parking and power. 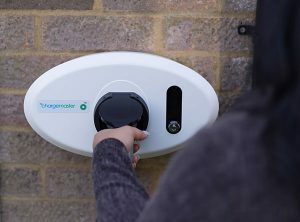 A BP Chargemaster Homecharge unit will charge most cars within around 4 hours. The Government currently offer subsidies for Homecharge units, meaning it can cost from as little as £279. Many workplaces are paving the way to help employees switch to greener driving. The Workplace Charging Scheme provides support towards up-front costs and there are many solutions that can suit your business’s needs, including plug-and-play slim units and RFID card access units. Our team will visit you to find the best and most cost effective solution. 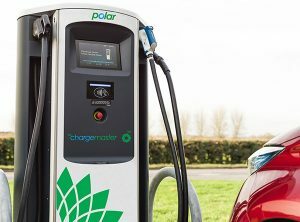 On the road, you’ll come across a mixture of rapid chargers, which can charge most cars in 30 minutes, and slower, ‘destination chargers’ at places where you’re likely to leave your car for a little longer like car parks, shopping centres or tourist attractions. 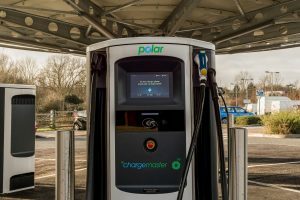 The Polar network is the UK’s largest network of around 6,500 charge points nationwide. * Prices shown are for non-communicating, non-key operated units and already include the £500 OLEV Electric Vehicle Homecharge Scheme grant. Subject to change. Members of the AA exclusively have the discounts available and must quote their AA membership upon initial correspondence with BP Chargemaster. The £47.50 upgrade option to a 7kW / communicating / key operated unit includes data connection for 3 years from date of installation. All offers only apply to grant eligible customers requiring standard installation (cable run under 15m fixed flush to the wall; no civil or electrical remedial works required). The OLEV Grant is subject to terms & conditions and eligibility criteria and may be revised or withdrawn at any time without prior notice. Visit OLEV website for further details. BP Chargemaster Homecharge application and installation terms & conditions and restrictions apply. Please note, all images shown are for illustration purposes only and may not fully reflect the latest products in all cases. The speed of charging also depends upon the charging capabilities of the vehicle.